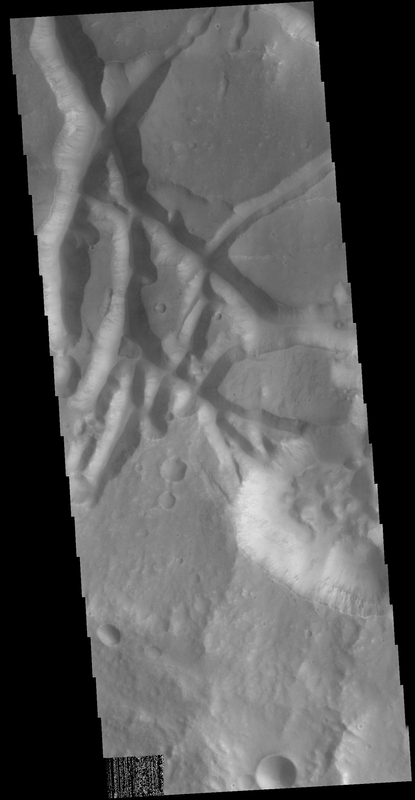 In this VIS image the surface region is being dissected by linear valleys. As the dissection continues individual mesas will develop, creating the terrain called chaos. The linear nature of the valleys is most likely due to tectonic fractures. In this region of Aram Chaos the mesas are still large, with time the mesa edges will continue to erode and the mesas will become smaller and further from each other.